Over the agency’s 60 year history, DARPA has played a leading role in the creation and advancement of artificial intelligence (AI) technologies that have produced game-changing capabilities for the Department of Defense (DoD). Starting in the 1960s, DARPA research shaped the first wave of AI technologies, which focused on handcrafted knowledge, or rule-based systems, capable of narrowly defined tasks. While a critical step forward for the field, these systems were fragile and limited. Starting in the 1990s, DARPA helped usher in a second wave of AI machine learning technologies that created statistical pattern recognizers from large amounts of data. The agency’s funding of natural language understanding, problem solving, navigation and perception technologies has led to the creation of self-driving cars, personal assistants, and near-natural prosthetics, in addition to a myriad of critical and valuable military and commercial applications. However, these second wave AI technologies are dependent on large amounts of high quality training data, do not adapt to changing conditions, offer limited performance guarantees, and are unable to provide users with explanations of their results. To address the limitations of these first and second wave AI technologies, DARPA seeks to explore new theories and applications that could make it possible for machines to adapt to changing situations. The advance of technology has evolved the roles of humans and machines in conflict from direct confrontations between humans to engagements mediated by machines. Originally, humans engaged in primitive forms of combat. With the advent of the industrial era, however, humans recognized that machines could greatly enhance their warfighting capabilities. Networks then enabled teleoperation, which eventually proved vulnerable to electronic attack and subject to constraint due to long signal propagation distances and times. The next stage in warfare will involve more capable autonomous systems, but before we can allow such machines to supplement human warfighters, they must achieve far greater levels of intelligence. Traditionally, we have designed machines to handle well-defined, high-volume or high-speed tasks, freeing humans to focus on problems of ever-increasing complexity. In the 1950s and 1960s, early computers were automating tedious or laborious tasks. It was during this era that scientists realized it was possible to simulate human intelligence and the field of artificial intelligence (AI) was born. AI would be the means for enabling computers to solve problems and perform functions that would ordinarily require a human intellect. Early work in AI emphasized handcrafted knowledge, and computer scientists constructed so-called expert systems that captured the specialized knowledge of experts in rules that the system could then apply to situations of interest. Such “first wave” AI technologies were quite successful — tax preparation software is a good example of an expert system — but the need to handcraft rules is costly and time-consuming and therefore limits the applicability of rules-based AI. The past few years have seen an explosion of interest in a sub-field of AI dubbed machine learning that applies statistical and probabilistic methods to large data sets to create generalized representations that can be applied to future samples. Foremost among these approaches are deep learning (artificial) neural networks that can be trained to perform a variety of classification and prediction tasks when adequate historical data is available. Therein lies the rub, however, as the task of collecting, labelling, and vetting data on which to train such “second wave” AI techniques is prohibitively costly and time-consuming. DARPA envisions a future in which machines are more than just tools that execute human-programmed rules or generalize from human-curated data sets. Rather, the machines DARPA envisions will function more as colleagues than as tools. 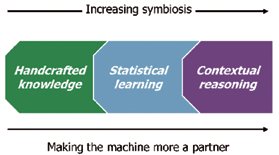 Toward this end, DARPA research and development in human-machine symbiosis sets a goal to partner with machines. Enabling computing systems in this manner is of critical importance because sensor, information, and communication systems generate data at rates beyond which humans can assimilate, understand, and act. DARPA is focusing its investments on a third wave of AI that brings forth machines that understand and reason in context. The agency sees this next generation of AI as a third wave of technological advance, one of contextual adaptation. To better define a path forward, DARPA is announcing today a multi-year investment of more than $2 billion in new and existing programs called the “AI Next” campaign. DARPA is currently pursuing more than 20 programs that are exploring ways to advance the state-of-the-art in AI, pushing beyond second-wave machine learning techniques towards contextual reasoning capabilities. Image is courtesy of Novaworks. In addition, more than 60 active programs are applying AI in some capacity, from agents collaborating to share electromagnetic spectrum bandwidth to detecting and patching cyber vulnerabilities. Over the next 12 months, DARPA plans to issue multiple Broad Agency Announcements for new programs that advance the state of the art in AI. In addition to new and existing DARPA research, a key component of the campaign will be DARPA’s Artificial Intelligence Exploration (AIE) program that was first revealed in July 2018. DARPA announced in September of 2018 a multi-year investment of more than $2 billion in new and existing programs for this campaign. AI technologies are applied routinely to enable DARPA R&D projects, including more than 60 exisiting programs, such as the Electronic Resurgence Initiative, and other programs related to real-time analysis of sophisticated cyber attacks, detection of fraudulent imagery, construction of dynamic kill-chains for all-domain warfare, human language technologies, multi-modality automatic target recognition, biomedical advances, and control of prosthetic limbs. DARPA will advance AI technologies to enable automation of critical Department business processes. One such process is the lengthy accreditation of software systems prior to operational deployment. Automating this accreditation process with known AI and other technologies now appears possible. 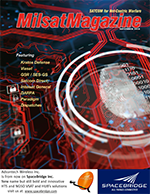 AI technologies have demonstrated great value to missions as diverse as space-based imagery analysis, cyberattack warning, supply chain logistics and analysis of microbiologic systems. At the same time, the failure modes of AI technologies are poorly understood. DARPA is working to address this shortfall, with focused R&D, both analytic and empirical. DARPA’s success is essential for the Department to deploy AI technologies, particularly to the tactical edge, where reliable performance is required. The most powerful AI tool today is machine learning (ML). ML systems can be easily duped by changes to inputs that would never fool a human. The data used to train such systems can be corrupted. And, the software itself is vulnerable to cyber attack. These areas, and more, must be addressed at scale as more AI-enabled systems are operationally deployed. Computer performance increases over the last decade have enabled the success of machine learning, in combination with large data sets, and software libraries. More performance at lower electrical power is essential to allow both data center and tactical deployments. DARPA has demonstrated analog processing of AI algorithms with 1000x speedup and 1000x power efficiency over state-of-the-art digital processors and is researching AI-specific hardware designs. DARPA is also attacking the current inefficiency of machine learning, by researching methods to drastically reduce requirements for labeled training data. The machine learning algorithms that enable face recognition and self-driving vehicles were invented over 20 years ago. DARPA has taken the lead in pioneering research to develop the next generation of AI algorithms, which will transform computers from tools into problem-solving partners. DARPA research aims to enable AI systems to explain their actions, and to acquire and reason with common sense knowledge. DARPA R&D produced the first AI successes, such as expert systems and search, and more recently has advanced machine learning tools and hardware. DARPA is now creating the next wave of AI technologies that will enable the United States to maintain its technological edge in this critical area. In addition to new and existing DARPA research, a key component of the campaign that was previously mentioned will be the agency’s Artificial Intelligence Exploration (AIE) program. AIE constitutes a series of high-risk, high payoff projects where researchers will work to establish the feasibility of new AI concepts within 18 months of award. Leveraging streamlined contracting procedures and funding mechanisms will enable these efforts to move from proposal to project kick-off within three months of an opportunity announcement. 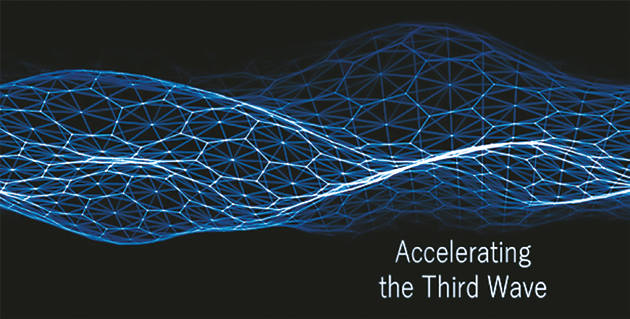 AIE is an agency-wide program, based on the successful “Disruptioneering” fast-tracked solicitation process pioneered by DARPA’s Defense Science Office, which supports a variety of technology development concepts. As with Disruptioneering, AIE will periodically issue special notices, known as “AIE Opportunities,” tied to topics of interest. The simplified proposal, contracting, and funding process makes it even easier for individuals and organizations to contribute to DARPA’s mission. AIE awards may be worth up to $1 million each, as described in each AIE Opportunity. Forthcoming AIE Opportunities will be published on the FedBizOpps website (www.fbo.gov) (under Program Announcement DARPA-PA-18-02. Agency director, Dr. Steven Walker officially unveiled this large-scale effort during closing remarks at DARPA’s D60 Symposium that occurred at the Gaylord Resort and Convention Center in National Harbor, Maryland. Major C. David Lewis, USAF Defense Sciences Office (DSO) Program Manager, joined DARPA as a program manager in the Defense Sciences Office (DSO) in January of 2018. Trained as an officer and physicist, Major Lewis is interested in applying the forefront of fundamental physics in unique ways to DoD challenges using the disciplines of quantum mechanics, space and plasmas, and gravitational physics. The SEE program explores how to go beyond magnetohydrodynamic descriptions of the magnetosphere, ionosphere, thermosphere coupled system to include wave/wave, wave/particle, and particle/particle interactions while using the latest advances in high performance computing such as GPUs and TPUs. 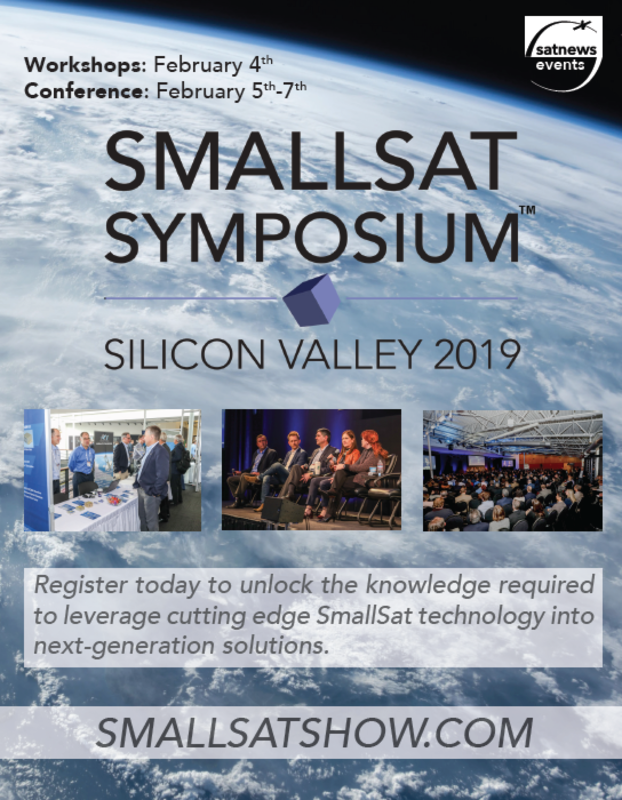 Furthermore, SEE is exploring how to unify current space environmental sensing networks to produce a common operating space environment picture and how to develop low cost, non-traditional, exploitive, and expeditionary means to observe near-earth plasma dynamics. Another big component of SEE is understanding the viability of how AI and Machine Learning can be used to help assimilate environmental data into models and virtually produce synthetic data. The expected outcomes of SEE will give future commanders and operators the necessary and precise space environment situational awareness to make relevant space operational/tactical decisions and differentiate between human-made and natural dynamic perturbations of the environment. Posted at the Novawurks infosite is additional information regarding the DARPA SeeMe project, which will provide small squads and individual teams the ability to receive timely imagery of their specific overseas location directly from a small satellite with the press of a button—something that’s currently not possible from military or commercial satellites. NovaWurks seeks to develop a constellation of satlets, at a fraction of the cost of airborne systems, enabling deployed warfighters overseas to hit ‘see me’ on existing handheld devices to receive a satellite image of their precise location within 90 minutes. The SeeMe constellation may consist of some two-dozen satellites, each lasting 60-90 days in a very low-earth orbit before de-orbiting and completely burning up, leaving no space debris and causing no re-entry hazard.